I love when you get a hankering for something in particular. You have no question in your mind what you want to cook for dinner. Makes life so much easier! 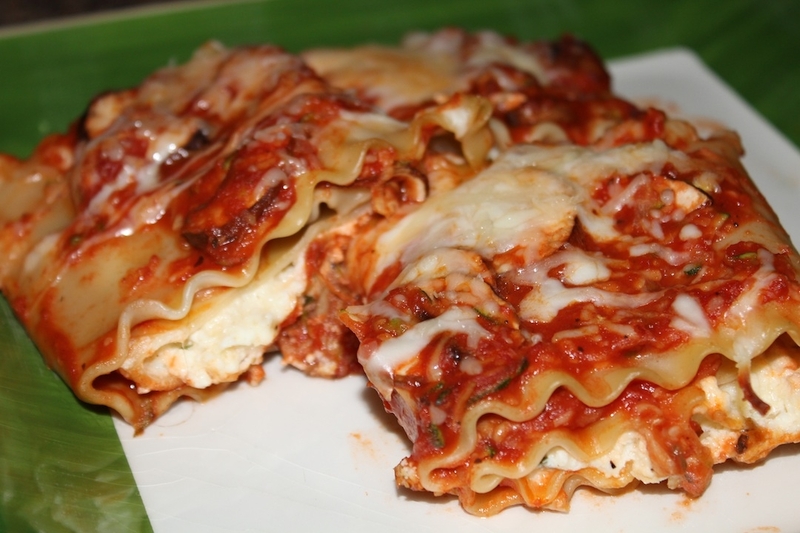 Last night, I could’ve named my first child lasagna if it meant that was what I would be eating for dinner! While pasta is cooking, mix the eggs, ricotta, 1/2 of the mozzarella, 1/2 the parmesan, parsley, salt, and pepper together in a bowl. In another bowl mix together the marinara sauce, mushrooms, zucchini. Pour the extra sauce over the rollatini’s (if you like it saucy you may want to add more, whatever!) and sprinkle the other 1/2 of mozzarella and parmesan over the top. Cover with foil and bake for 35 minutes. Then uncovered for 10 more minutes or until the cheese is nice and melted. Let the lasagna sit for 5 minutes before eating. ‹ PreviousWhat in the world am I doing?